Sandton is known as Africa’s richest square mile and is, without a doubt, Johannesburg’s shopping and commercial epicentre. Since the 1980’s, Sandton has experienced an exponential growth and development to become one of today’s most vibrant and exciting destinations – not only in Johannesburg, but in Gauteng as a province. It is centrally situated, and is accessible from all major centres, including OR Tambo International Airport; the launching pad of the vast majority of tourists to South Africa. 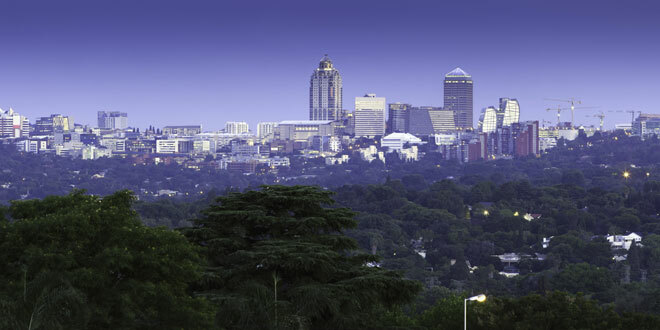 Johannesburg is frequented by corporate travellers that are conducting business in this important commercial hub. Sandton is home to many of the businesses and financial focal points that moved from the old Central Business District to this more elegant, central suburb. This includes the Johannesburg Stock Exchange (JSE). There are also many new corporations that have made their mark on the global financial platforms, taking advantage of the world-class office spaces. The Sandton Convention Centre is one of the largest of its kind in all of Africa, and hosts a number of important events, celebrations, conventions and conferences every year, bringing in professionals from all over the world to enjoy the professionalism and hospitality of South Africa. There are also a number of industrial areas within Sandton, such as Wynberg and Kramerville. Sandton City is, without a doubt, one of this area’s most popular and indulgent delights for those with a passion for retail therapy. This massive mall boasts hundreds of shops, boutiques, retail giants, speciality stores, restaurants, coffee shops and entertainment options. It is one of the largest malls on the continent, and includes Nelson Mandela Square (complete with a six-metre high bronze statue of the late Nelson Mandela, which looks over the square’s activities benevolently) under its umbrella. It has a total shopping area of 144 000 square metres, guaranteed to keep shoppers busy. It is also close to a number of 5-Star Johannesburg hotels making it an ideal area for those looking for places to stay in Sandton. Sandton hosts numerous cultural performances, musical celebrations, comedy shows, art exhibitions and other events. It is vibrant and exciting, without negotiating on a distinct sense of style and world-class glamour. Local “Jo-burgers” and visitors from all over the world are invited to enjoy the talent that can be found within the boundaries of South Africa. Such events showcase the diversity, tolerance and humour of a country that has had its fair share of tragedy and political unrest, testifying to the power of a nation to recover and uncover the positives.